Water is one of the best purification systems that the body has, and people need to drink a lot of it in order to stay healthy. However, like all other types of healthy living, water can go through fashion fads. Some might believe that the perfect source of water is ionized water from specialist suppliers, while others are happy to fill up a reusable bottle with tap water. 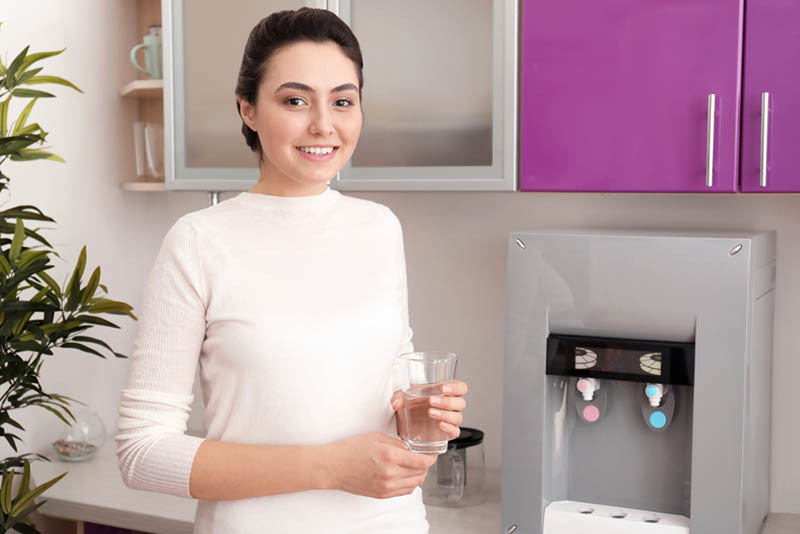 If you know that people in your company like to keep an eye on their health, then they may want you to install an alkaline water dispenser. This type of water is considered to be one of the best for providing your staff members with clear, drinkable water. A surprising amount of water in the Californian pipe system is not completely healthy for humans to drink. It has an acidic pH, which means that it can have a negative impact on your health, and it will also be missing important minerals that the body needs. Alkaline water, on the other hand, has a high pH, with a greater concentration of the essential minerals, such as potassium, magnesium and calcium. These minerals affect the taste of the water and can make your workers feel healthier while they are drinking it. You could make your own using sodium, but most people are trying to cut down on the amount of salt that they take per day, and this means that you could help them to be healthier by buying in supplies of natural alkaline water. Not all waters from bottle companies in California are able to offer alkaline waters to their customers, and this means that you need to look for a business that specializes in high-quality water. Testing for impurities means that you know how healthy the water is, and whether it has been through a purification system to ensure that everything in the water is suitable for human consumption. At Urban Oasis, we believe in cleaning our water to make it safe for you to drink, taking out pesticide residue, nitrates and chlorine, among other contaminants, to provide you with better water that can be drunk without boiling. If your staff want water that is able to provide them with mineral replacement, then our products can meet that demand. When you decide to buy alkaline water for your business, you need to look for suitable containers. From the alkaline water dispenser itself to the bottles, all items need to be purified to prevent them from carrying bacteria to your staff members. The plastic that contains water has a significant impact on its quality, as well as the taste, so you need us to supply you with our BPA-free bottles. We can also offer glass bottles that will prevent contamination of your water supply. To find out more about the water services we offer, talk to the Urban Oasis team today by subscribing to our mailing list, or by calling us at (213) 427-0320 now. Previous Previous post: Is your Business Searching for a Water Refill Station Near Me?